Each academic year, the Woodrow Foundation awards a scholarship to one Whitworth student based on academic excellence, leadership skills and financial need. 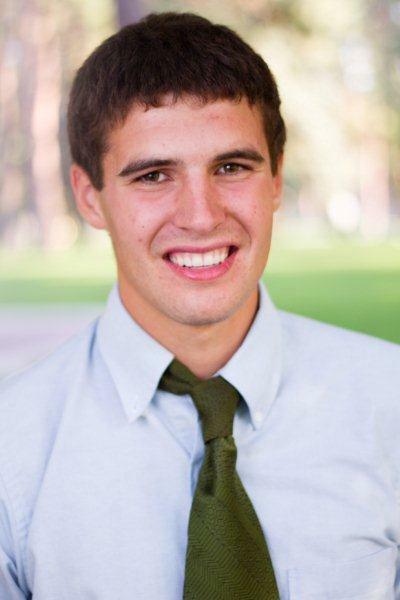 This year’s recipient is Benjamin Wiseman, a biology major from La Grande, Ore. Wiseman’s $36,007 Woodrow Foundation Scholarship covers full tuition, books and fees for the 2013-14 academic year. Kristiana Holmes, director of health services at Whitworth, stated in a letter of recommendation that Wiseman has demonstrated strong leadership qualities in the year that she has supervised him in his role as a health advocate. “Ben has vision and generates ideas that are consistent with the ideals of Whitworth University. He is able to create a plan of action and to motivate others to engage with him to see the plan through,” Holmes wrote. In addition to working in the campus greenhouse, Wiseman is active in Whitworth’s community garden. He also volunteered one day a week during the 2012-13 academic year in the emergency room at Providence Holy Family Hospital. “Being involved in your community is always a great thing to talk about on scholarship applications, and it has helped me prioritize my life,” says Wiseman. “Dedicate your free time to something that benefits your community. The scholarship committee will appreciate it, and it will shape you as a person.” He will use the scholarship money to study abroad. This summer, he is taking part in a medical internship in Costa Rica under the supervision of the Whitworth Costa Rica Center. After graduation, Wiseman plans to pursue a career in medicine. The Woodrow Foundation Scholarship is awarded each academic year to one student at Whitworth University. To be eligible for the scholarship, students must have a 3.75 or higher GPA, demonstrated leadership skills, and high financial need. Applications are reviewed by a university committee that selects five finalists. The final selection is made by US Bank, which serves as the trustee for the Leon Woodrow estate. Nancy Morlock, assistant director/scholarship coordinator for financial aid, Whitworth University, (509) 777-4378 or nmorlock@whitworth.edu.